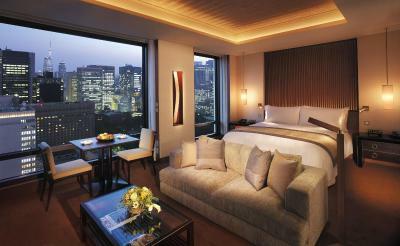 Lock in a great price for The Peninsula Tokyo - rated 9.2 by recent guests. Attentive polite staff. Breakfast upstairs. Large rooms. Comfortable bed. Spotlessly clean. Staff extremely helpful and friendly. Room spacious ( we were upgraded as a goodwill gesture to acknowledge our 40th wedding anniversary- thank you ! ) Facilities in the hotel were excellent. The rooms are brilliantly designed, the staff are excellent and super helpful, especially the concierge desk, which makes getting the most out of one's stay even easier. Its always a treat to stay at the Peninsular. This is our fourth or fifth stay there. Everything was perfect. The best I have stayed at. The room size and the dressing room. We were 2 adults and a six year old and there was plenty of room for all 3 of us. 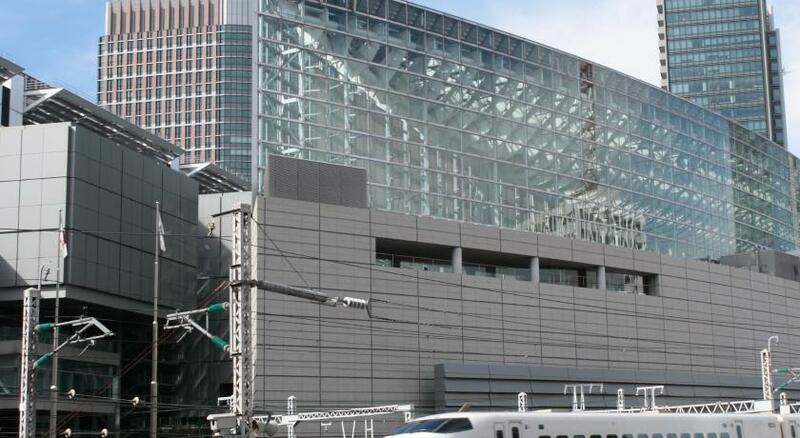 It was an easy walk from Tokyo Station with luggage. very comfortable bed we dont wanna wake up. The room is very clean and well equipped. Breakfast is good. concierge very helpful. Good location to many restaurants and shops. Everything. From check-in to check-out, our experience was lovely. Shout out goes to one of your concierge/drivers (? ), if I recall his name is Oinishiki (?) or Oishiniki (?). He made our drive enjoyable as he was very pleasant and was able to share us his insights of Tokyo. From the bottom of our hearts, thank you for the wonderful experience. 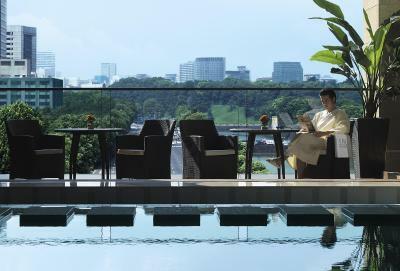 The Peninsula Tokyo pampers its guests with a spa centre and a fitness club with a swimming pool and sun loungers, overlooking the Imperial Palace Gardens. 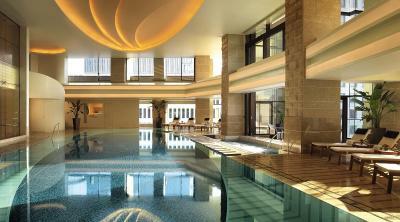 It's a 3-minute walk from Ginza shopping district, and offers concierge services. 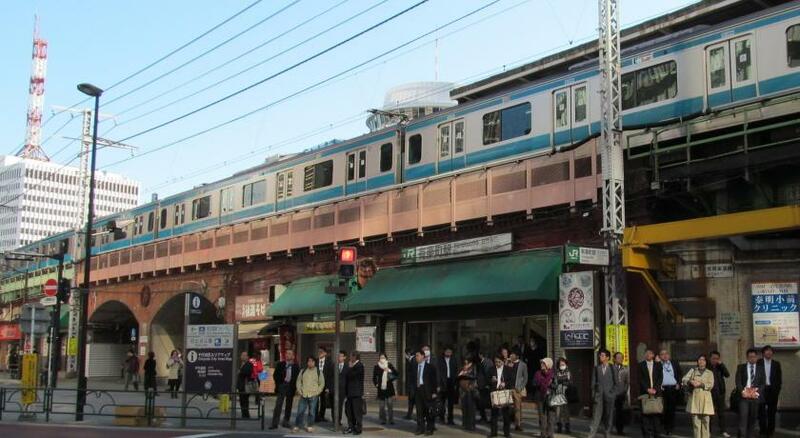 Tokyo Station is just a 5-minute drive away. 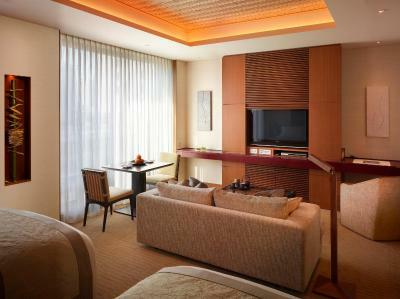 Featuring designs with traditional Japanese influences, luxurious rooms boast a living area with sofas and a wide-screen TV, a bedroom with bed-side curtain controls and a marble bathroom with built-in flat-screen TV. They come with a dressing area, mood lighting and free WiFi. 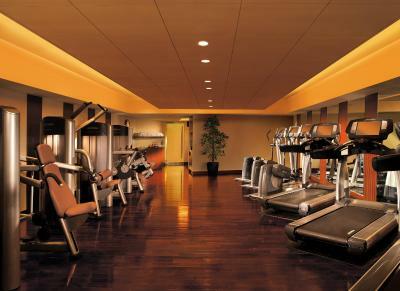 Guests can relax with a massage or beauty treatment, or unwind in a sauna or an aromatherapy shower. Services include a personal trainer and a nutrition adviser, while airport transfer by Rolls-Royce limousine is provided at a charge. 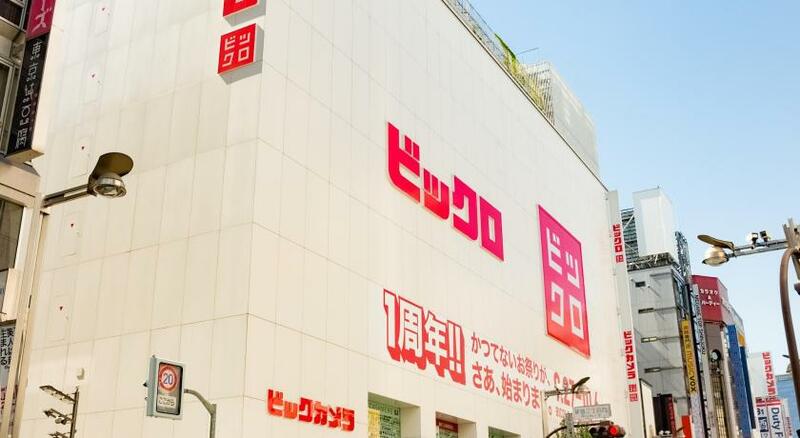 There is a 24-hour front desk and an ATM machine. Paid parking is available on site. 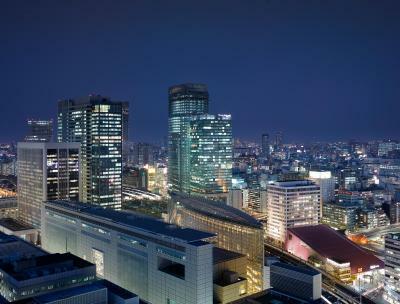 A variety of restaurants at The Tokyo Peninsula cater Japanese, Cantonese and Western cuisines. 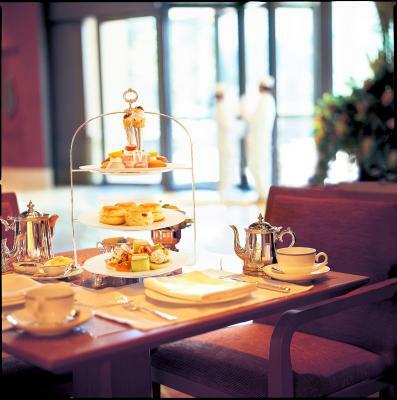 Authentic high tea can be enjoyed at cafe The Lobby, while on the 24th floor Peter: The Bar offers cocktails and cigars, creative cuisine and sweeping Tokyo views. 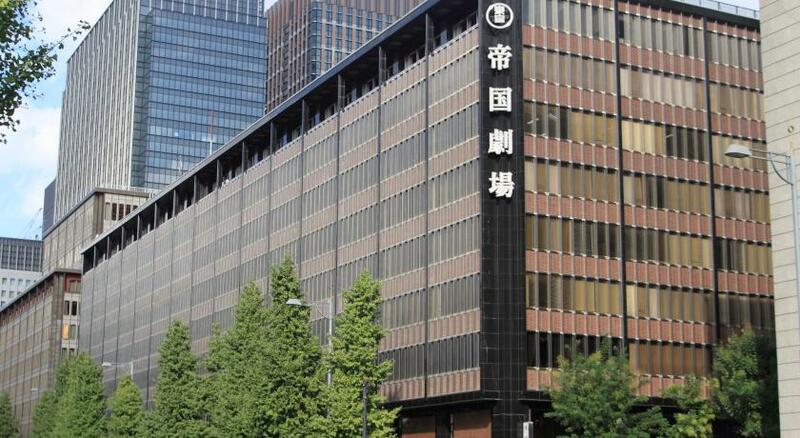 The Peninsula Tokyo is directly connected to Hibiya Subway Station. 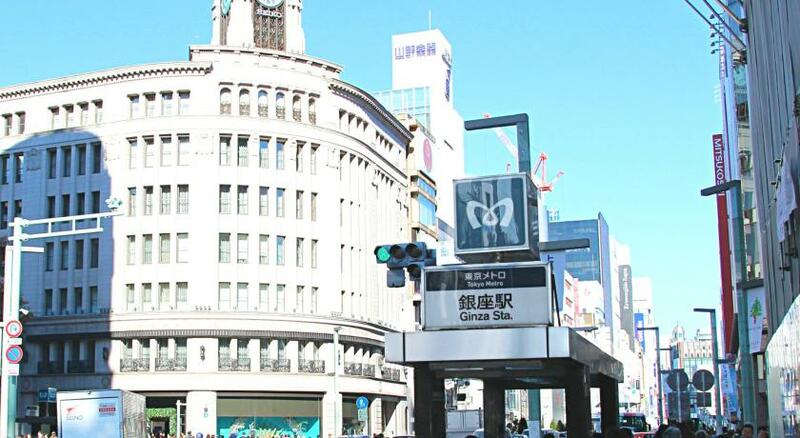 Ginza and Yurakucho stations are both within a 3-minute walk, offering easy access to Shinjuku, Shibuya and Roppongi. 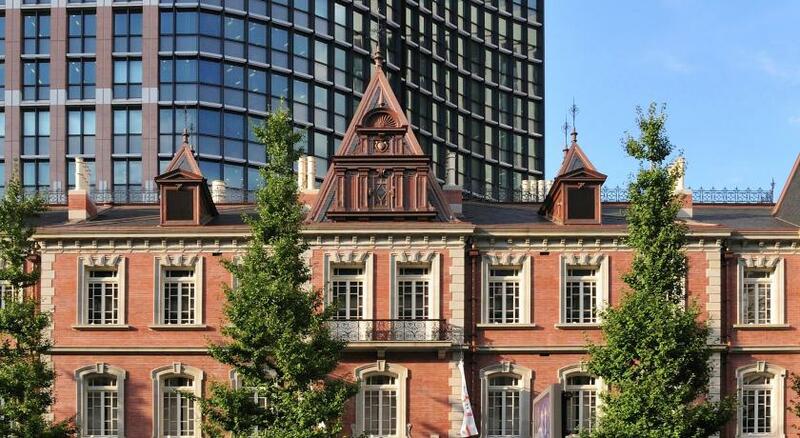 Tokyo Sky Tree and Asakusa are 40 minutes away by train. 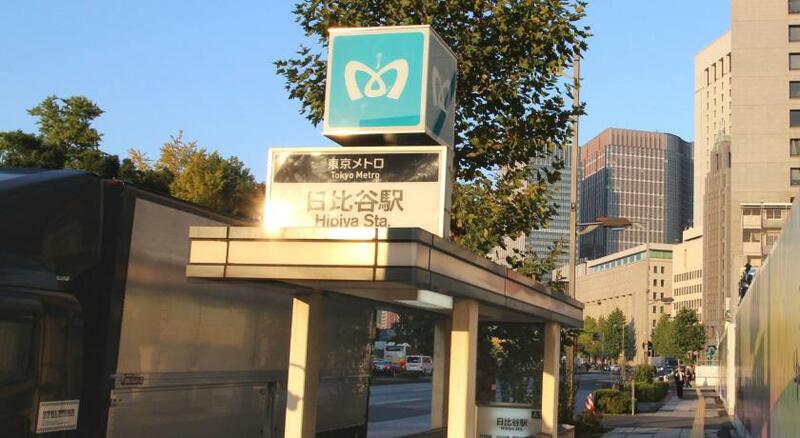 Airport buses take 40 minutes to Haneda Airport, and 90 minutes to Narita Airport. 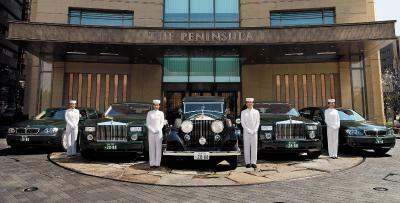 The Peninsula Tokyo has been welcoming Booking.com guests since 13 Nov 2012. 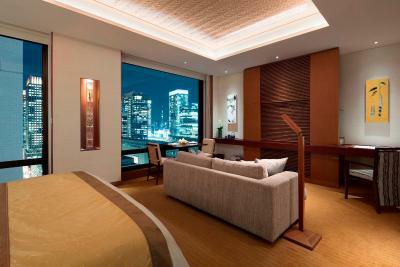 When would you like to stay at The Peninsula Tokyo? This suite room boasts designs with both traditional Japanese and modern influences, in tones of red with touches of added soft colours. The living room comes equipped with a 4 person dining table, a sofa and armchair, a 42-inch flat-screen TV and a high-quality sound system. 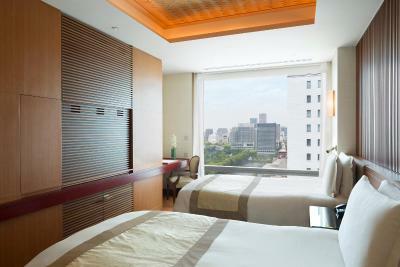 The room overlooks the Ginza district, and can be connected with the Deluxe and Premium rooms upon request. Please make your request at the time of booking, and please note that requests may be subject to availability. 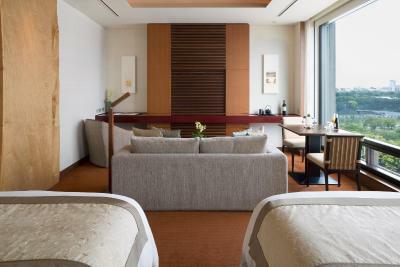 The room overlooks the Ginza district, and this room type can be connected with the Deluxe and Premium rooms upon request. Please make your request at the time of booking, and please note that requests may be subject to availability. 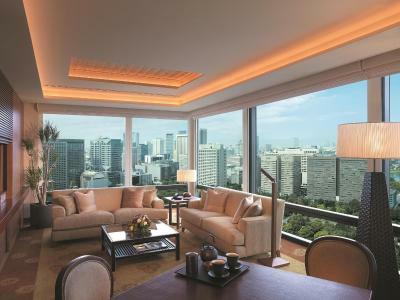 This corner deluxe suite room overlooks views of Hibiya Park and the Imperial Palace with its large windows in the living room. 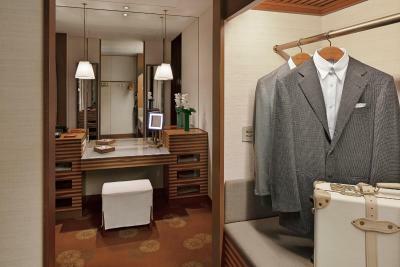 Guests will also find a bedroom, a spacious dressing room, a marble bathroom and a powder room. 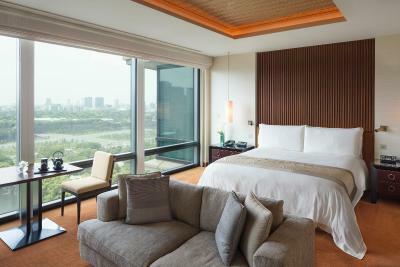 The room can be connected to the Grand Premier room which features park views. Please make your request at the time of booking, and please note that requests may be subject to availability. 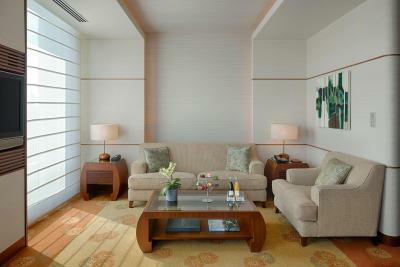 More spacious room featuring a living area with sofas, a wide-screen TV and black-out screens. 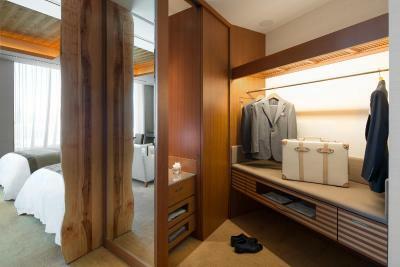 The marble bathroom has a walk-in shower, a built-in flat-screen TV and toiletries. It comes with a dressing area, mood lighting and complimentary WiFi. 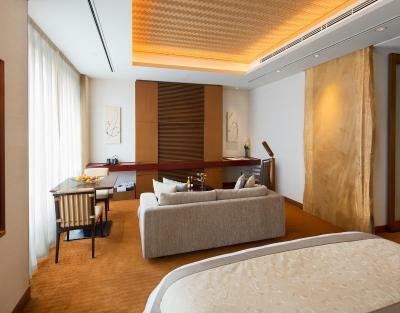 This deluxe room features designs that focus on earth tones and natural wood. 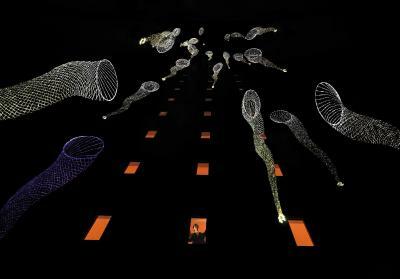 Guests will find a sofa, a dining table, a work desk and a control panel beside the bed which allows guests to manage lighting and air conditioning. A personal fax machine and high-speed free internet access is available for guests' convenience, in addition to a spacious dressing room and bathroom where guests can relax. 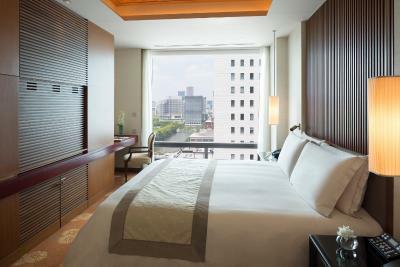 This premium room features views of the city and designs with a focus on traditional Japanese-style influence. 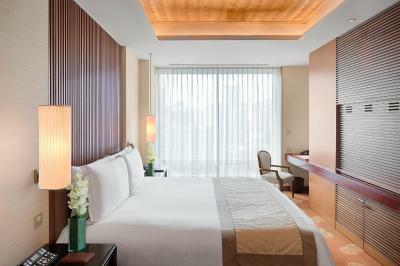 There is a control panel beside the bed which allows guests to manage lighting and air conditioning. 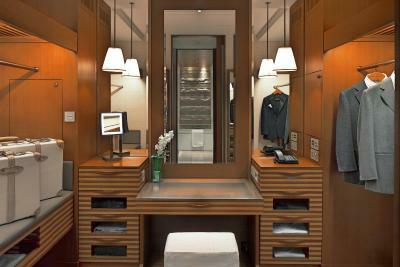 Guests will also find a spacious dressing room and bathroom. This room features views of the National Gardens from the floor-to-ceiling windows and designs that focus on earth tones and natural woods. 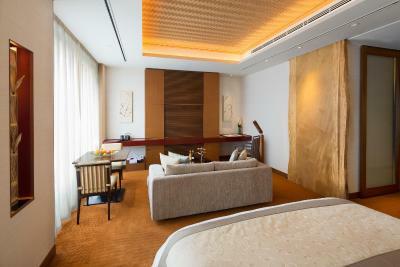 There is a control panel beside the bed which allows guests to manage lighting and air conditioning. A personal fax machine is available for guests' convenience. 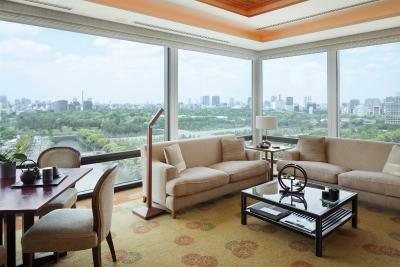 This more spacious sunlit king room features views of the National Gardens and Hibiya Park and is located on the 8-21st floors. 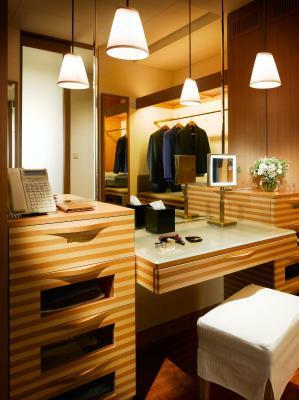 Facilities include those developed by and unique to The Peninsula Hotels, including a personal fax machine and bedside control panel to adjust lighting and room temperature. 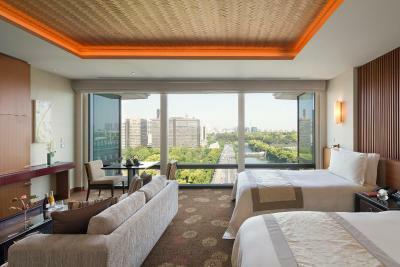 This more spacious sunlit twin room features frontal views of the National Gardens and Hibiya Park. 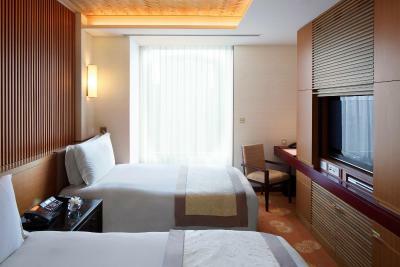 There is a control panel beside the bed which allows guests to manage lighting and air conditioning. A personal fax machine is available for guests' convenience. 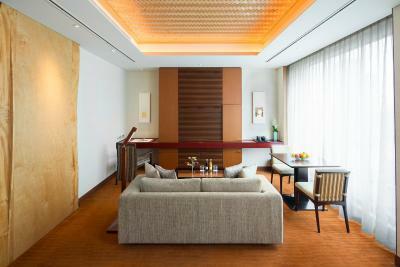 House rules The Peninsula Tokyo takes special requests - add in the next step! 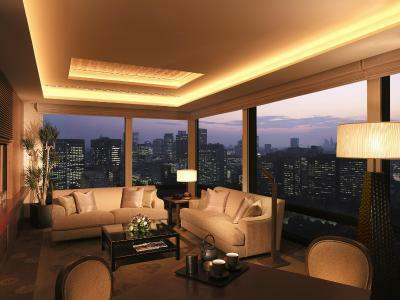 The Peninsula Tokyo accepts these cards and reserves the right to temporarily hold an amount prior to arrival. To use the hotel's shuttle, please make a reservation in advance. Shuttle services are charged. Contact details can be found on the booking confirmation. 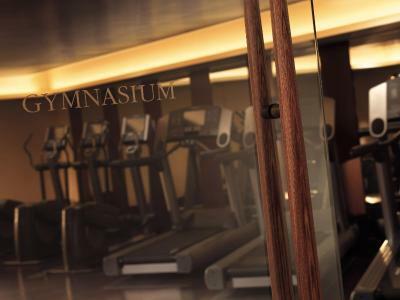 Please note that a minimum age of 16 years applies for entrance to the spa and fitness facilities. Children between 4 years and 12 years can access the pool from 09:00-18:00 only when accompanied by a parent or guardian. The concierge service was terrible, especially the Lady concierge among them: she seemed intoxicated all the time! Our room view was disappointing given the amount we paid for the room. Its interesting but very overpriced. The staff are very helpful, and the location is amazing. Not a thing! But having breakfast in the lobby area was not for us. We were lucky they had alternative choices as it was busy. We wanted to have connecting rooms but they couldn’t arrange for one. The rooms were roomy and comfortable. 1) The pillows were too soft. 2) I was mesmerized by the ambience of the lobby when we initially entered but there were only few seats in the middle to share, like a sardine, There's no place to lounge while waiting for your ride or even just hangout. Then it became very noisy because it is surrounded by the lobby's restaurant. Restaurant should be in a different location and re-conceptualize the lobby with luxury sofas to complete the impeccable lobby. 3) The buffet restaurant in the basement was too small. It's elbow to elbow while you are getting your food. 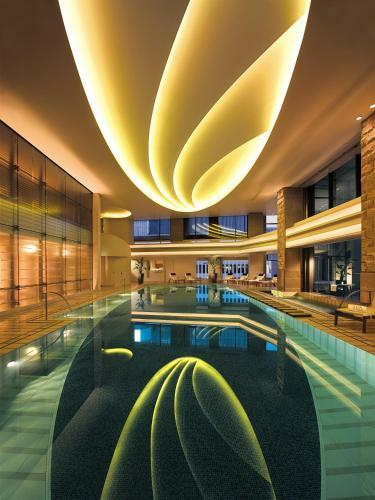 I was very disappointed when compared to another five star hotel - The Lotte's in Korea's buffet was very upscale and luxurious. 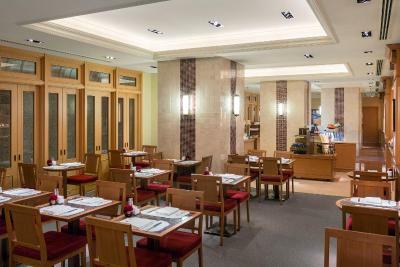 Please study their grand buffet and The Peninsula should get some ideas on how to improve your buffet offer. Not enough fresh fruits variety. The mood lighting in the room induced a relaxing feeling. Super clean room. No ironing board or iron. We entered by the side door, not knowing what was where, and there was no assistance with our bags. From that entrance it was difficult to find out where the check-in desk was.